Please note that the content of this book primarily consists of articles available from Wikipedia or other free sources online. 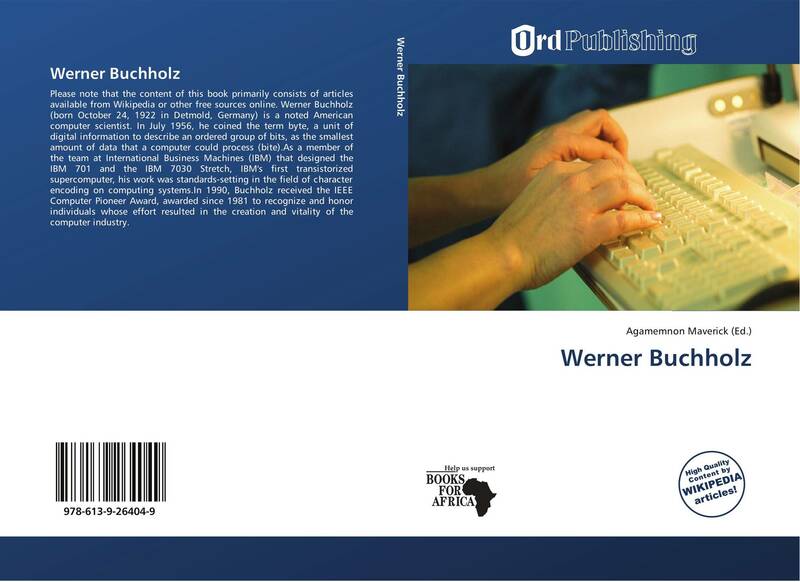 Werner Buchholz (born October 24, 1922 in Detmold, Germany) is a noted American computer scientist. In July 1956, he coined the term byte, a unit of digital information to describe an ordered group of bits, as the smallest amount of data that a computer could process (bite).As a member of the team at International Business Machines (IBM) that designed the IBM 701 and the IBM 7030 Stretch, IBM's first transistorized supercomputer, his work was standards-setting in the field of character encoding on computing systems.In 1990, Buchholz received the IEEE Computer Pioneer Award, awarded since 1981 to recognize and honor individuals whose effort resulted in the creation and vitality of the computer industry.